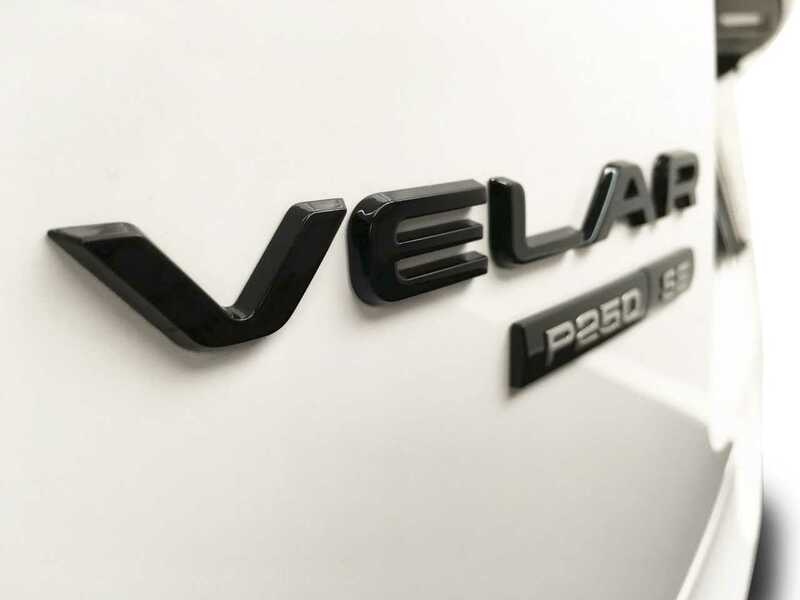 Range Rover Velar: Do you want to feel the power of a rigorous engine, the luxury of plush seating, and the exhilaration of testing the limits of what an SUV can do? 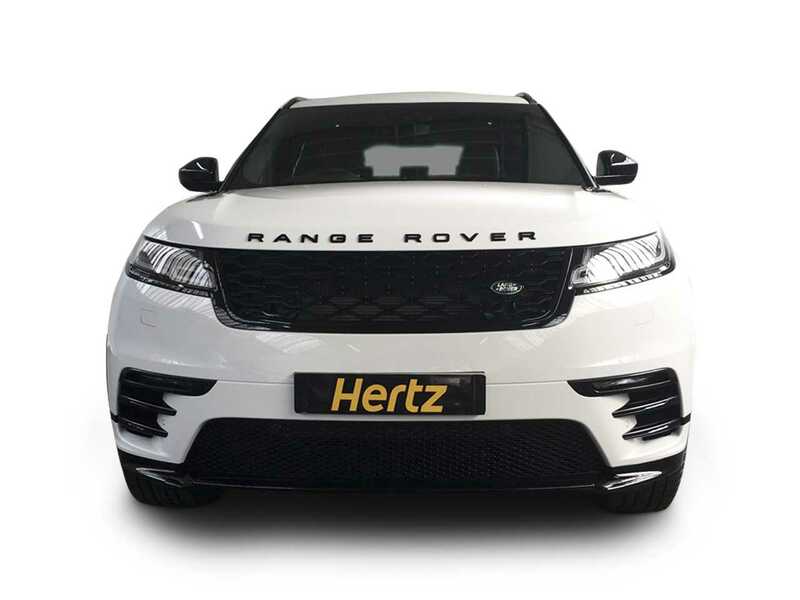 At Hertz Dream Collection Cars for Hire, we are proud to offer a wide selection of praise-worthy makes and models for hire, among them the Range Rover Velar. 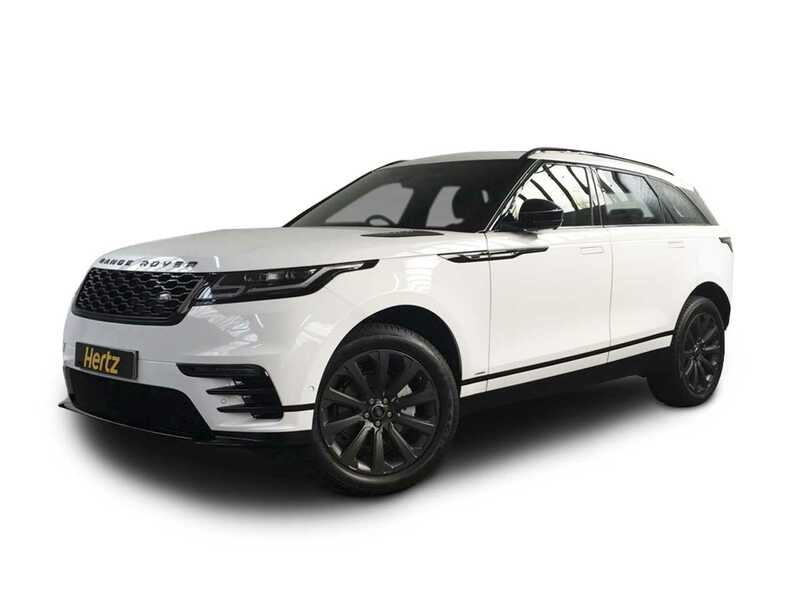 This is a sports utility vehicle for hire that clients absolutely love for its might, strength, sophistication, and extreme comfort. It is readily available for your business or leisure travel needs, whether you would like a one-day, multi-day, or week-long rental. 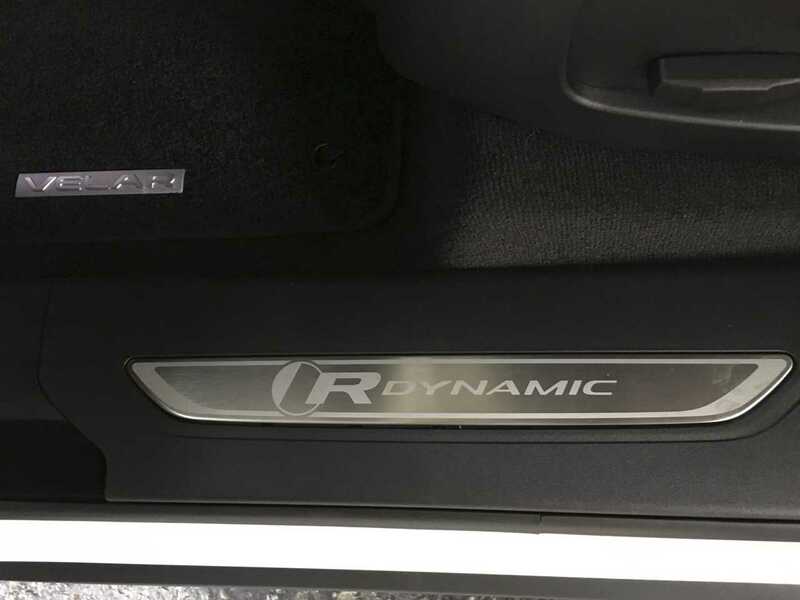 Smooth, pared-back and slimmed-down style takes priority over absolute space or off-road ruggedness. 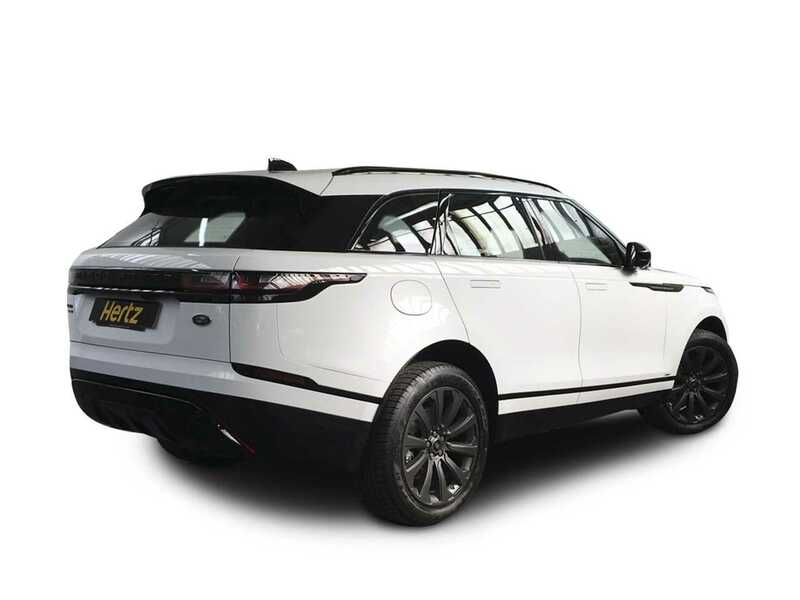 The Velar's silhouette is quite fast, marked by a rising belt, falling roof, pinched tail and a lot of screen rake. The surfaces are pure as snow. 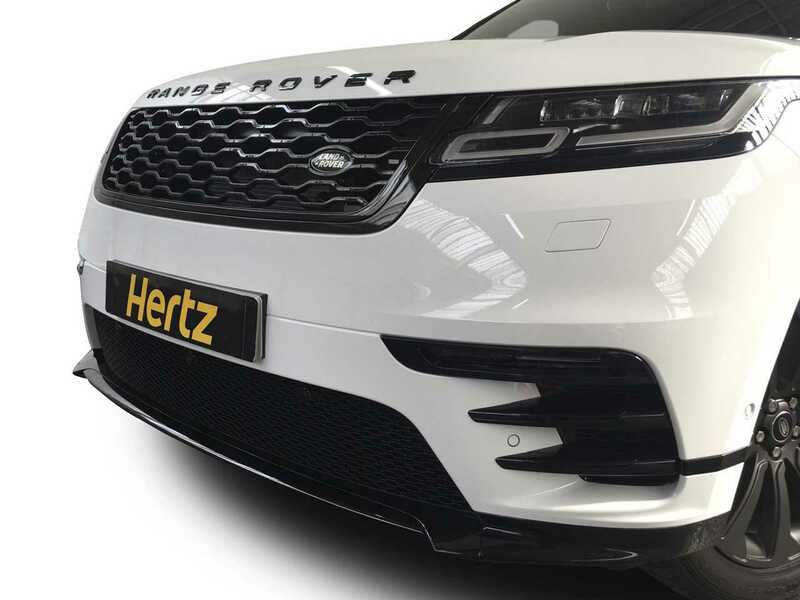 Especially around the nose, it's naked of step-lines, the grille, lamps and bumper meticulously flush. Which makes the numberplate plinth stand out like a flesh wound. 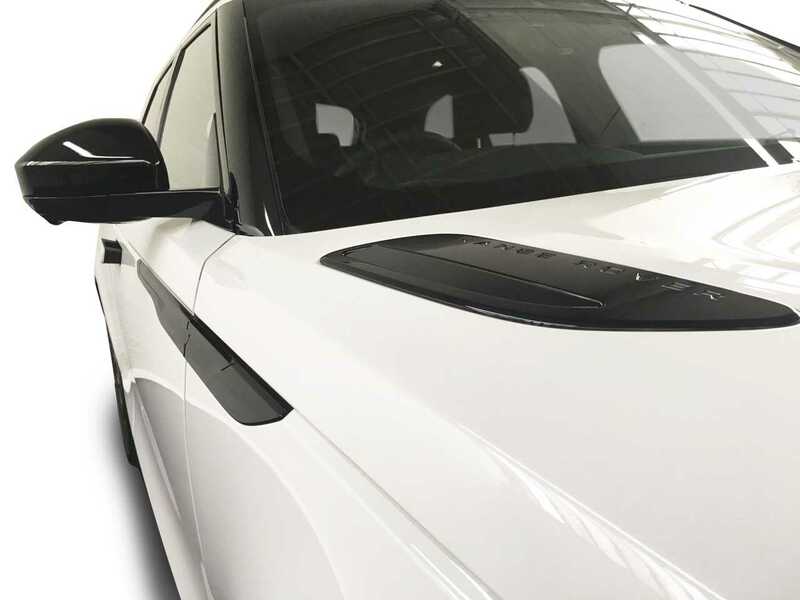 Also the fake vents on the bonnet and below the door mirrors. The cabin is even more of a revelation, for the way style and function meet in an all-new glass-cockpit system for displays and controls. 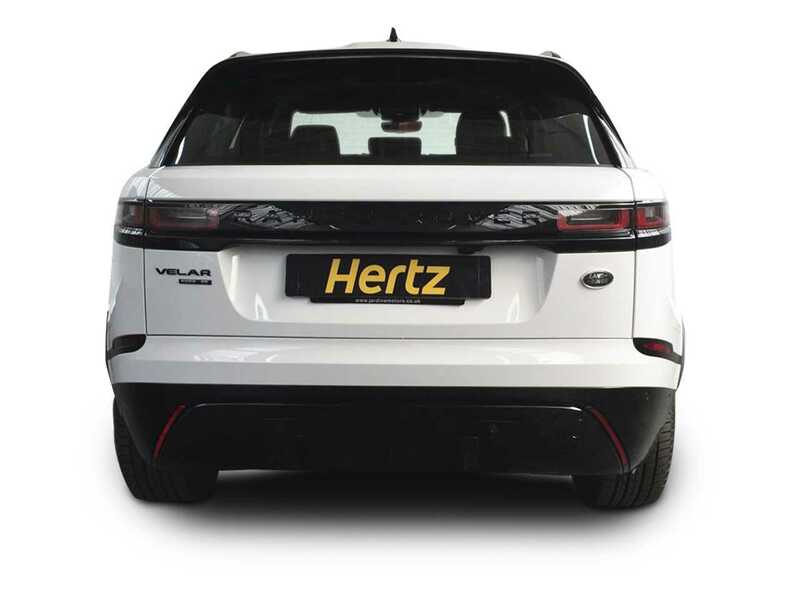 Range Rover Velar uses the latest safety technologies including Electronic Traction Control (ETC) which optimises traction and Electronic Brake-force Distribution which automatically varies the braking force to each wheel in order to minimise stopping distance. 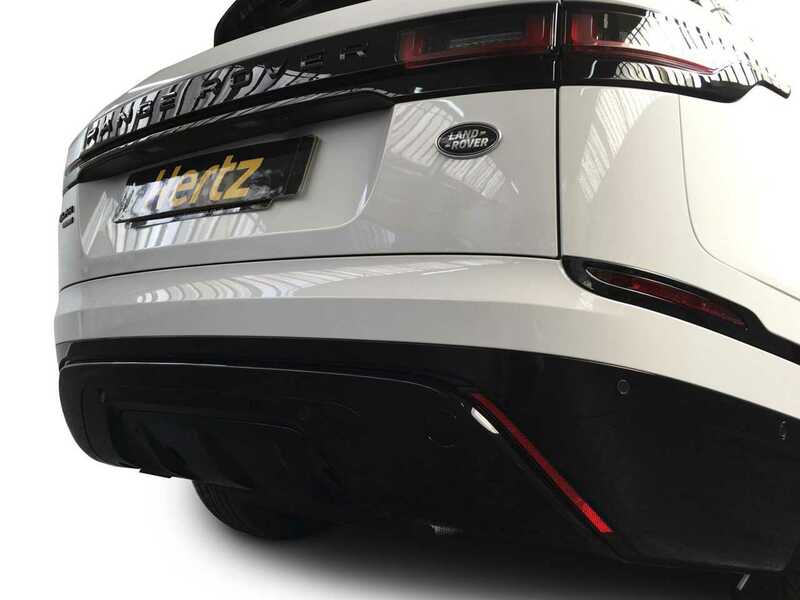 Emergency Brake Assist understands when you apply the brakes quickly but without the necessary force to maximise stopping performance. It, therefore, boosts the brake pressure through the ABS pump to ensure you stop in time. This auto is raring to go and is fully competent to handle your most adventurous journey. 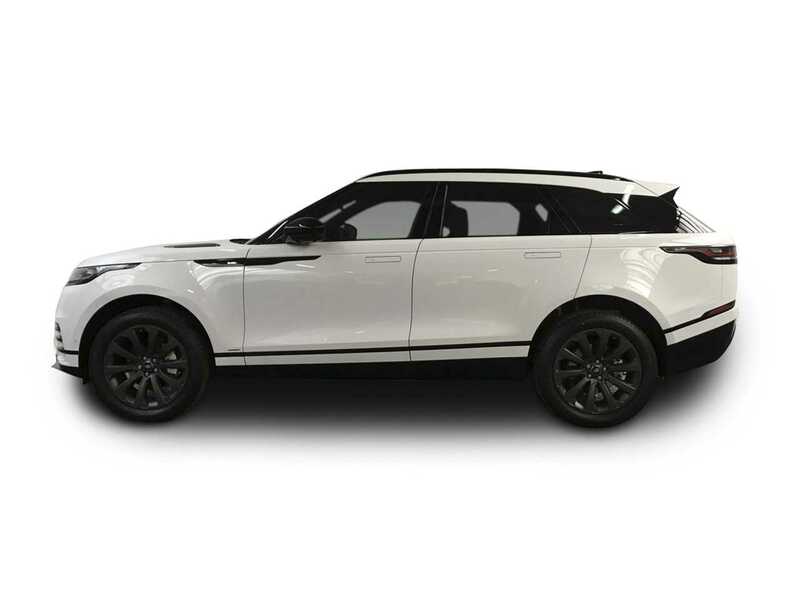 Adeptly traverse a whole slew of road conditions with a thick-skinned exterior and lay back and enjoy the ride with a timeless and put-together interior. 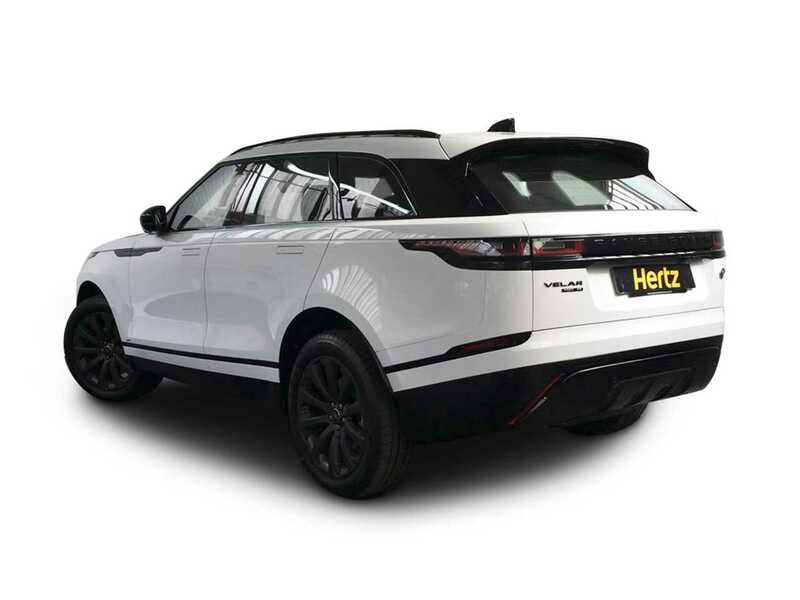 Do you wish there was a driving machine that blended ultimate relaxation as well as the rough-and-tumble aggression that you need to tackle anything life throws at you on the road? 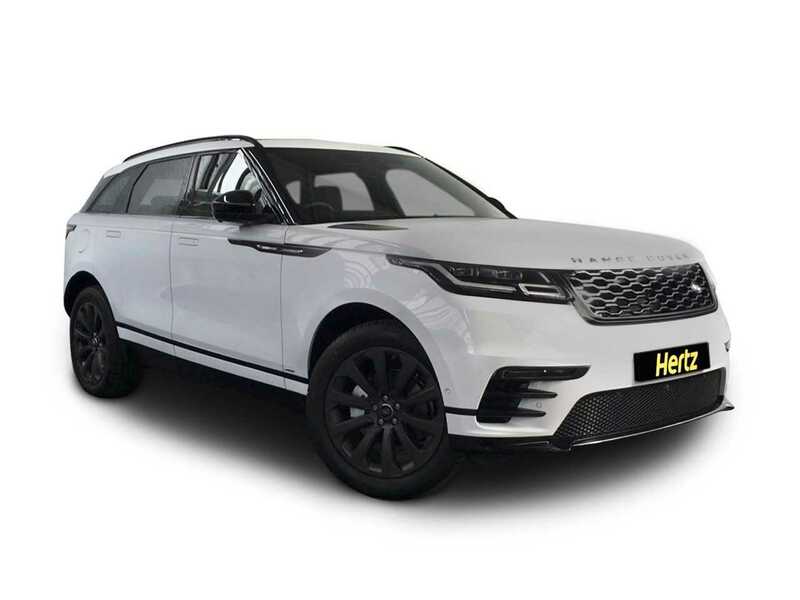 It is here with the Range Rover Velar. This automobile is especially attractive for its ability to be sporty and elegant at the same time. 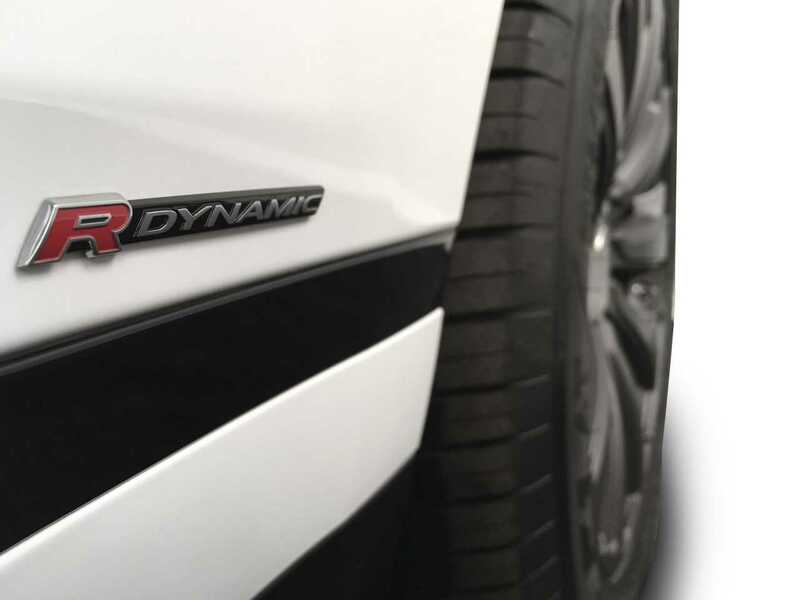 Consider the athleticism of the outer body, which is characteristic of a sports vehicle, yet encompasses the definitive luxury and classiness of a world-renowned automobile. You will feel superbly powerful with a thick and tough steering wheel and a centre console that is mounted higher up for easier accessibility and control. With ambient lighting and seating that is extremely accommodating, you will still feel as though you were riding first-class, all the time. 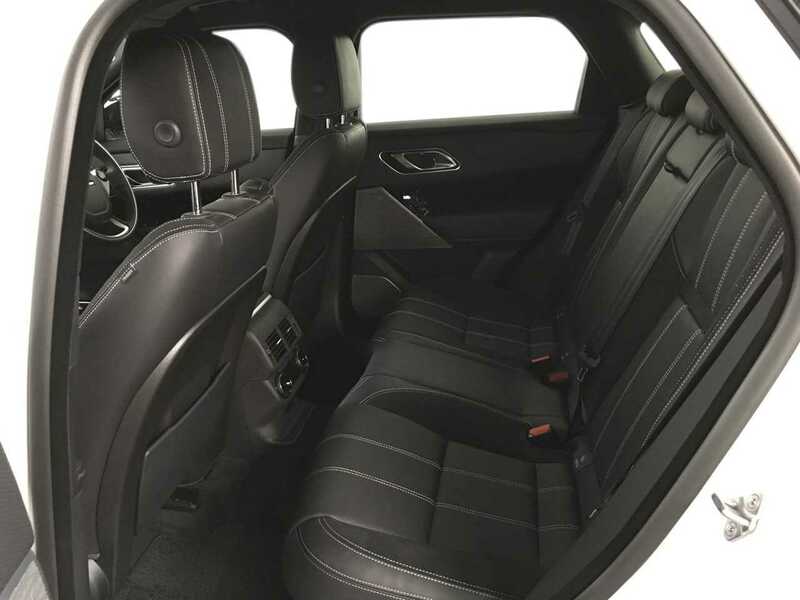 Speaking of seating, all of your passengers will feel very fortunate to be riding along with you as you take on your next driving adventure. The seats are upholstered in fine leather, and the plushness provides adequate comfort. 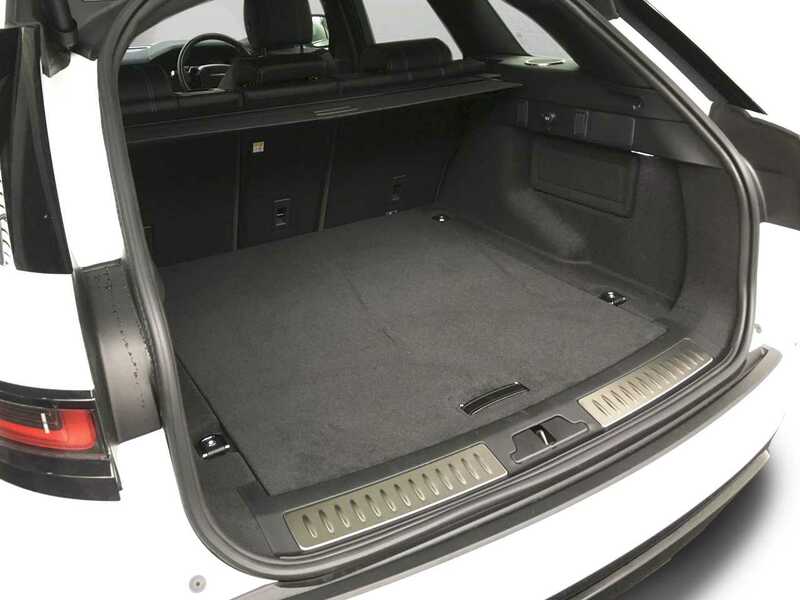 There is plenty of space for everyone and their luggage, too. 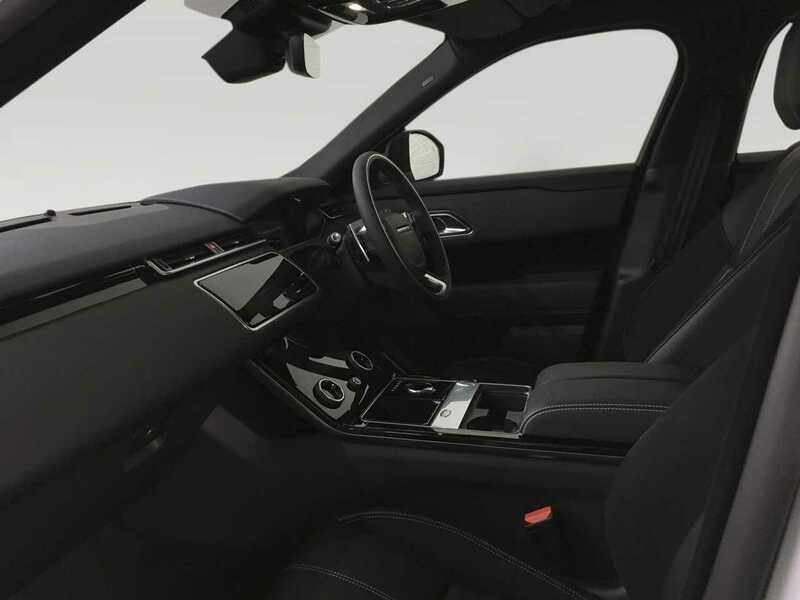 You may never want to leave the interior of this car, for it is lush and luxe, with a beautiful dashboard and expertly crafted lines and amenities. 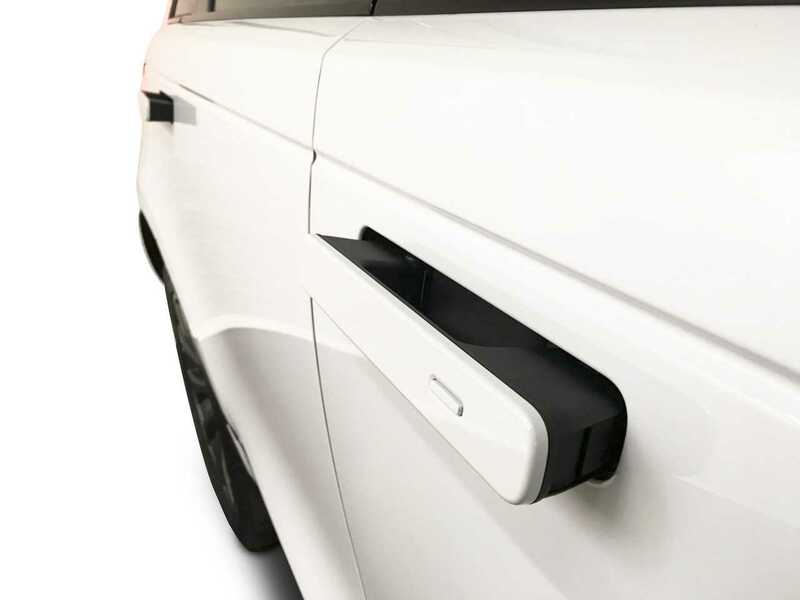 Hearing about the car's exterior may be the only thing to get you to open your door.